We provide Circuit Breaker Resistance Test. This is being conducted for precision design and reliable performance. The breaker contact resistance should be measured from bushing terminal to bushing terminal with the breaker in the closed position. It is recommended that for medium and high voltages the resistance test. 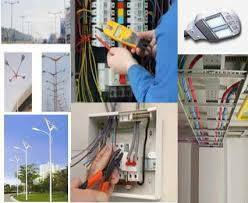 We have carved a niche amongst the most dominant names in this domain, involved in providing Circuit Breaker Testing Service. We are testing and servicing of VCB, ACB and SF6 circuit beakers. A circuit breaker is an automatically operated electrical switch designed to protect an electrical circuit from damage caused by overload or short circuit. Its basic function is to detect a fault condition and interrupt current flow.Circuit Breakers are one of the critical "safety-valves" of electrical systems and basic maintenance procedures are essential to maintain maximum reliability. Brand: Crest Test Systems Pvt.Ltd. Output: The output is available through a highly flexible HV Cable which can be directly connected to the vacuum bottle under test. Our company has gained name and fame in presenting Circuit Breaker Testing Service. To meet the various requirements of the customers, we are involved in providing Circuit Breaker Testing Service (Circuit Breaker Meter Testing Service). Green-Watt has alliances with few world leading equipment manufacturers in the field of circuit breaker testing. The latest technology supplied by us is always backed by strong technical support, hence a value added sales. We offer the top series of Breaker Testing Kit for our valued consumers. These products are used in numerous purposes in the market.